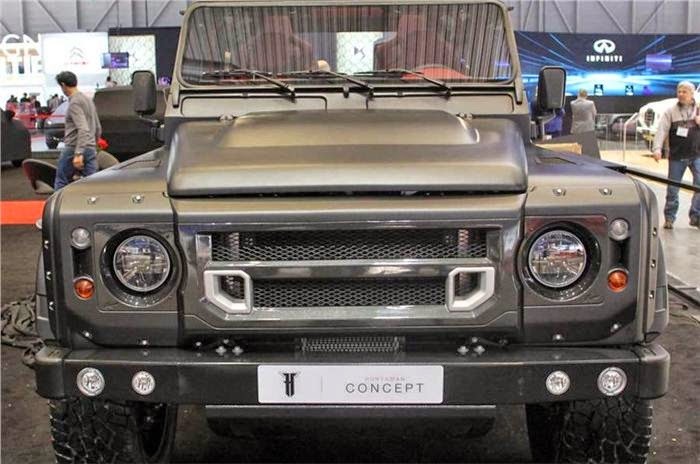 English engineering house Kahn Design has taken the veil off its latest creation, the Flying Huntsman 110 WB 6x6, a stretched and heavily modified six-wheel version of the Land Rover Defender, at the Geneva motor show 2015. The vehicle is codenamed 'Mission 1'. 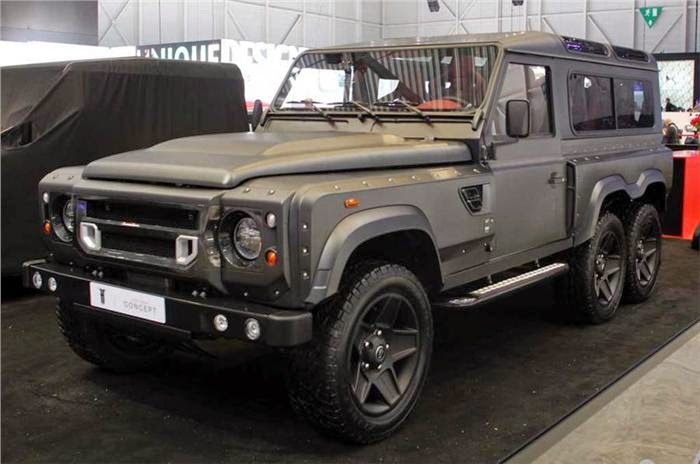 Powered by a GM LS3 6.2-litre V8 engine, the Flying Huntsman 6x6 develops 430bhp which is channeled to all wheels through a six-speed automatic gearbox. 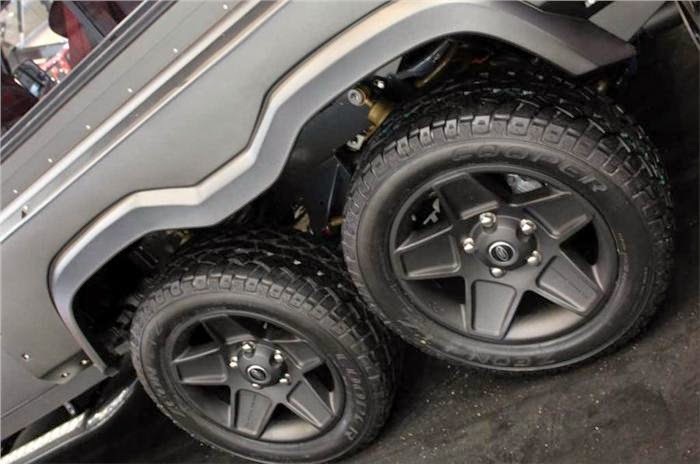 To stay true to its off-roading credentials, the Flying Huntsman features a hi-low ratio drive system, locking differentials, upgraded suspension and upgraded brakes. 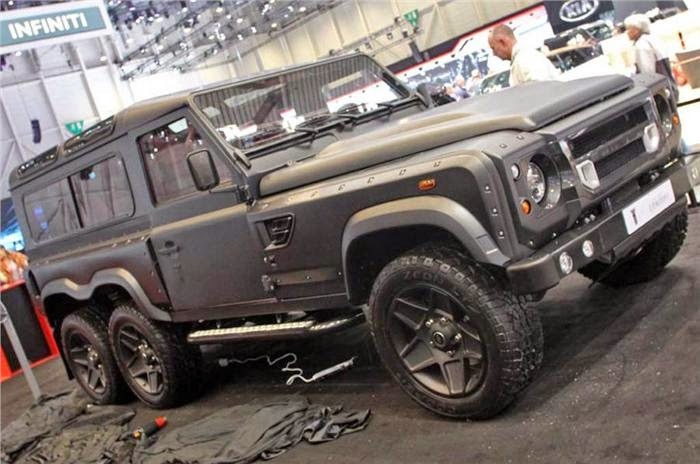 Compared to a standard Land Rover Defender 110, the Flying Huntsman 6x6 is 1200mm longer and 150mm wider. The difference in length is down to a 400mm extension in the front and 800mm extension to the cab in the rear. The interior hasn't been seen yet, but Kahn says a full-length panoramic sunroof features as part of the cabin.The car also features larger rear and passenger doors to allow better entry and egress. 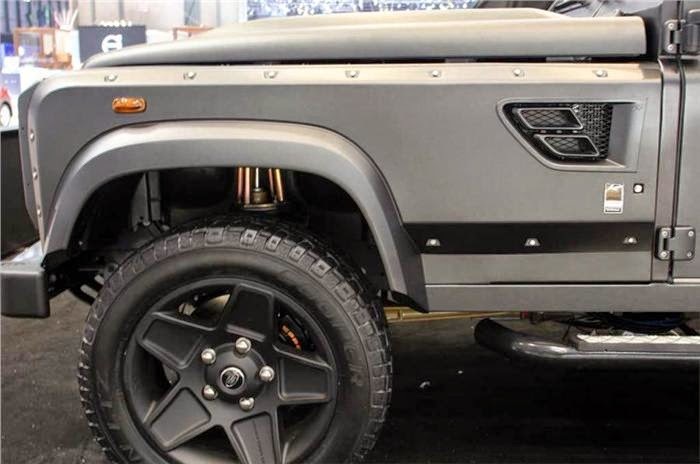 The SUV is expected to go into direct competition with the Mercedes-AMG G63 6x6.